Sherman Construction provided design-build construction services in partnership with Trane to Clemson University for the West Central Energy Plant. The completed facility will provide over 50% more cooling capacity expansion available to Clemson University. Prior to construction, Clemson University serviced over 165 buildings spread across 1,400 acres from 3 energy plants. 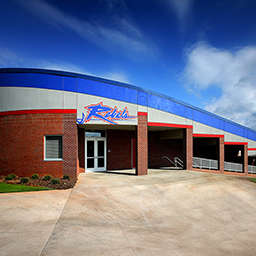 Sherman, GMC Architects and Trane provided the design and construction of the building along with the installation of two 1,500 nominal-ton variable speed drive Trane chillers. The facility has expansion available for an additional 3,000 tons as well. The designer for the project is Goodwyn Mills Cawood of Greenville, SC.